During my Vienna visit in late November, I noticed three changes that might interest past and future visitors. Two of the changes were positive and one is annoying. The first change is that most rail traffic is now routed through the recently opened Hauptbahnhof (Main Train Station). This change has been expected since December 2009 when the South Train Station (Suedbahnhof) was abolished and construction of the new one began. The Hauptbahnhof was mostly complete when I was in Vienna in November 2015, and trains were being routed through it. Now, it is a busy station. Also, it is a spacious, attractive, and luxurious station with its own large shopping center. It offers many good places to eat, plus plenty of stores for shopping. Remember, one of the business advantages of locating in a train station is that a shop there does not have to follow the country’s restrictive hours of operation. 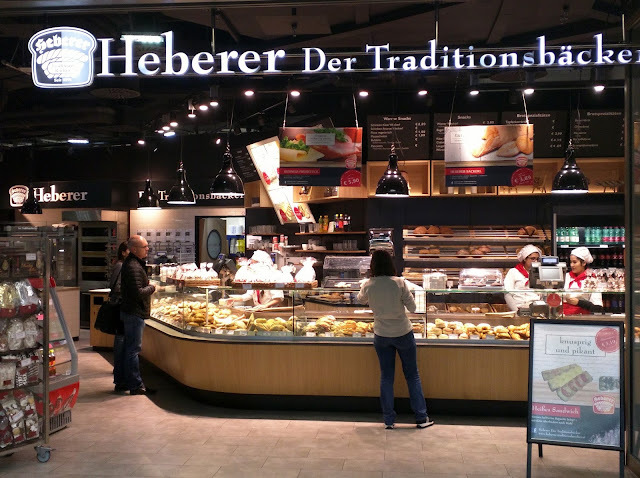 Thus, unlike other stores in Vienna, the stores at the Hauptbahnhof (and other train stations in the city) can open on Sunday. The station is built on three levels. On the lowest level, a traveler can access much of the public transportation to and from the station, including the U-bahn (Vienna's subway) and the street cars. The second floor consists of most of the 90 stores that are part of the Hauptbahnhof shopping center. The third floor has provides access to the trains, plus ticket offices and several restaurants. In truth, when I arrived at the first time by bus (which unloads to the second level of the station), the layout was a bit confusing. Also, when I arrived on another day on a train from another city, I got turned around and had difficulty finding the bus stop. Fortunately, the station has many signs and it does not take too long to figure out where you need to go. Of course, train stations are a magnet for shady looking people who stand around in groups and watch passing people through the corners of their eyes. Also, they attract people with all kinds of personal problems. 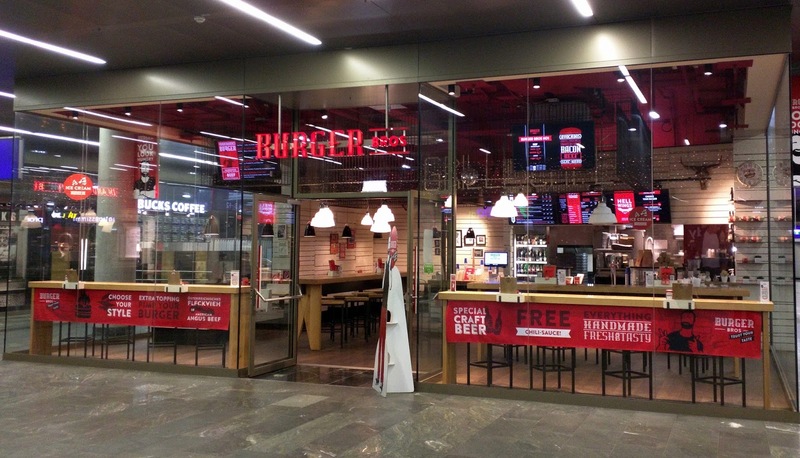 Nevertheless, the Hauptbahnhof seems to be a secure place with plenty to do while waiting for your train to arrive. 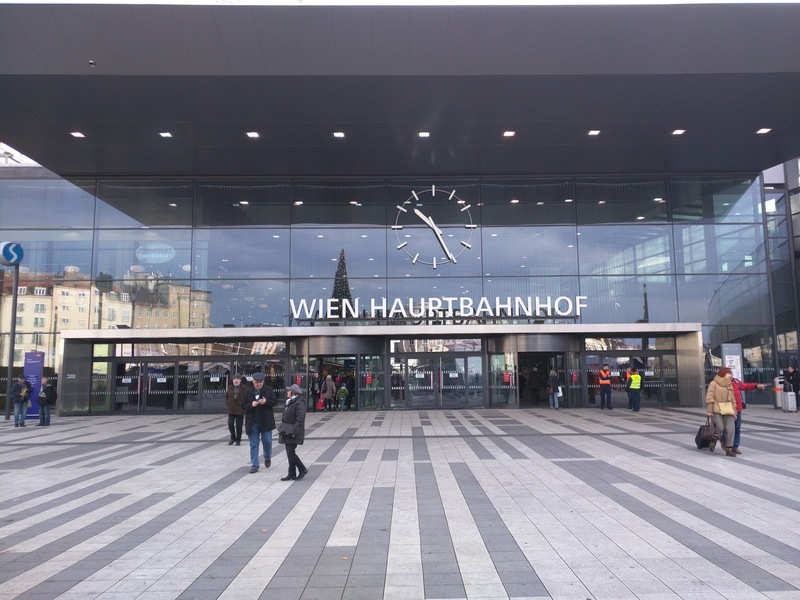 Related to the opening of the Hauptbahnhof, another positive change is that travelers can now take a train from there to the Vienna Airport. 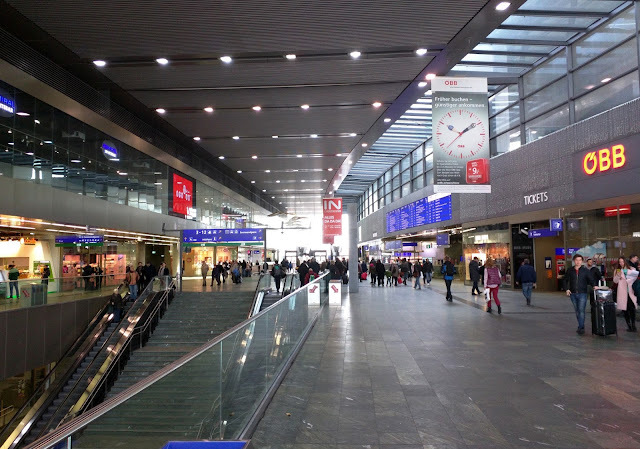 In fact, for many trains, the Hauptbahnhof is not the end station in Vienna, but the next-to-the-last station with the train continuing to the airport. 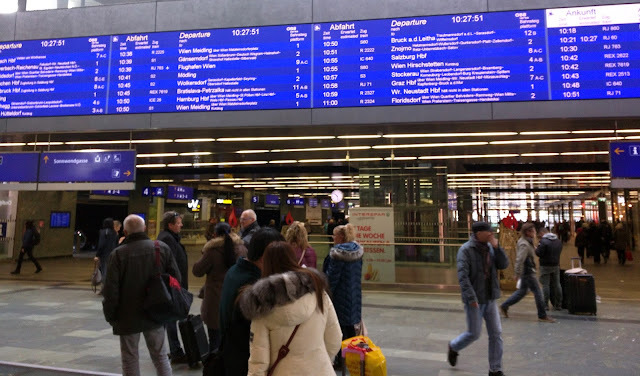 Because of the new Hauptbahnhof-Airport link, travelers arriving at the Vienna Airport, they now board a train there that will take them not only to the Hauptbahnhof but also to other locations throughout Austria and Europe. 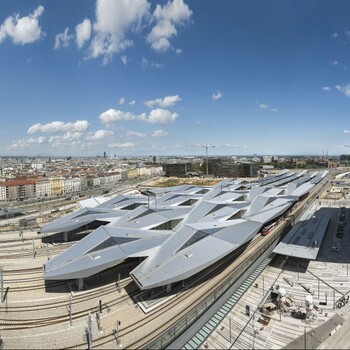 With the opening of the train station, Vienna is helping travelers avoid the need to travel between stations for their trips. For example, when I was living in Vienna in 1972-73, travelers who arrived from Budapest and wanted to continue to Italy would have to get out at the West Train Station and travel by tram or taxi to the South Train Station. No longer. Vienna’s second change is that Herrengasse is now a pedestrian zone from Schottengasse to the Hofburg entrance, though taxis and fiaker can still drive on it. The road has been filled in to eliminate the curb. For people who do not drive, this change makes walking along the narrow road much safer and faster. 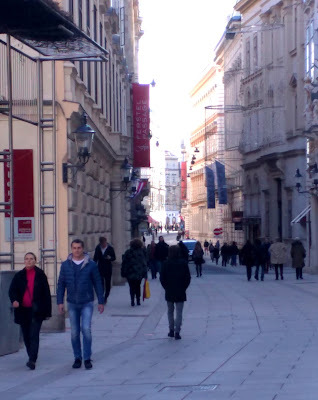 It should be noted that the rest of Herrengasse from the Hofburg to the Albertina Museum is open to automobiles and buses. 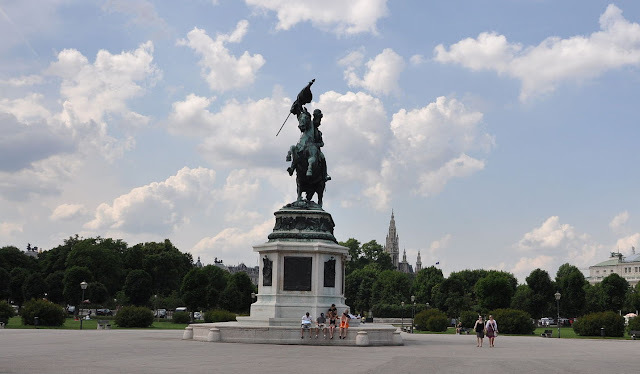 The third change in Vienna is mostly an irritation. 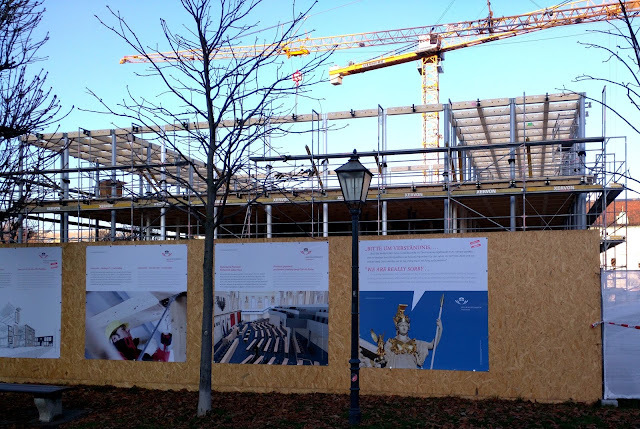 Two multi-story buildings are being constructed in the open space between the front to the main Hofburg building at Heldenplatz and the entrance to the Volkspark. These new, temporary buildings, behind the back of the statue of Archduke Charles, block views from the Hofburg toward the Parliament building and the Rathaus. Signs on a fence surrounding the construction site explain that the buildings are temporary structures that will be used in the next few years by the Austrian Parliament. They are needed because the interior of the Parliament building will be reconstructed. 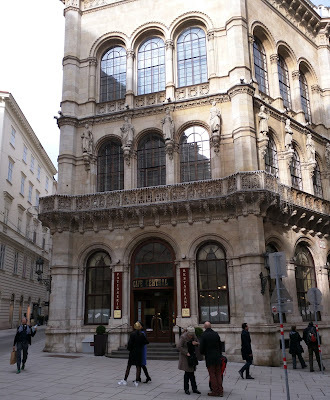 As an old city, Vienna is constantly being rebuilt and spruced up. Fortunately the painful disruption usually results in improves to the city.